Holiday closings are New Year’s Day, Martin Luther King Day, Memorial Day, Independence Day, Labor Day, Thanksgiving Day and the day after, and Christmas Day. In-Service Days on President’s Day, and a late August Friday. We have a modern, secure facility located on 5 wooded acres in west Newark. 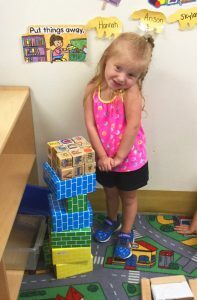 We utilize individual classrooms designed with age-appropriate furniture, toys, storage areas, etc. 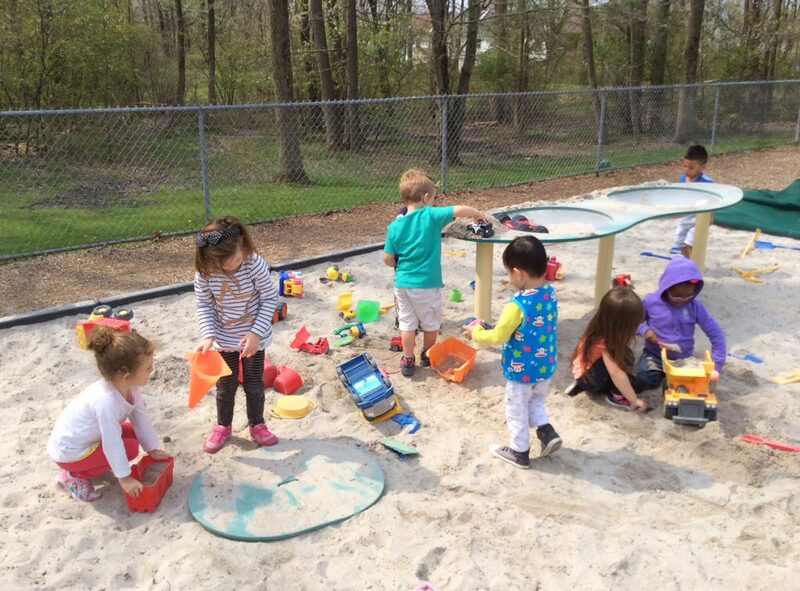 Our outside play areas consist of 4 separate playgrounds (Infants-onesies, Toddlers, Preschool, and School Age) with age-appropriate climbers, swings and other play equipment. 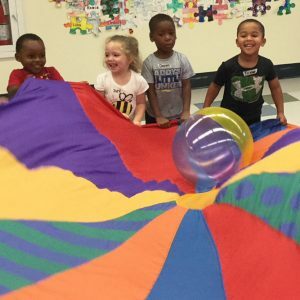 Our tuition fees are based on a sliding fee schedule for the Early Care and Education programs. School Age Care tuition fees vary based on the care hours and transportation needed for each child. Payment for these programs is due weekly on the Monday of the week of care. Summer camp enrollment is based on the weeks needed by the families during the summer. Tuition for this program is due one full week in advance of each week of service. Limited scholarship assistance is available for summer camp. Purchase of Care enrollments are available in all three programs. In our fully equipped on-site kitchen we prepare nutritious breakfasts, lunches and afternoon snacks for our children. 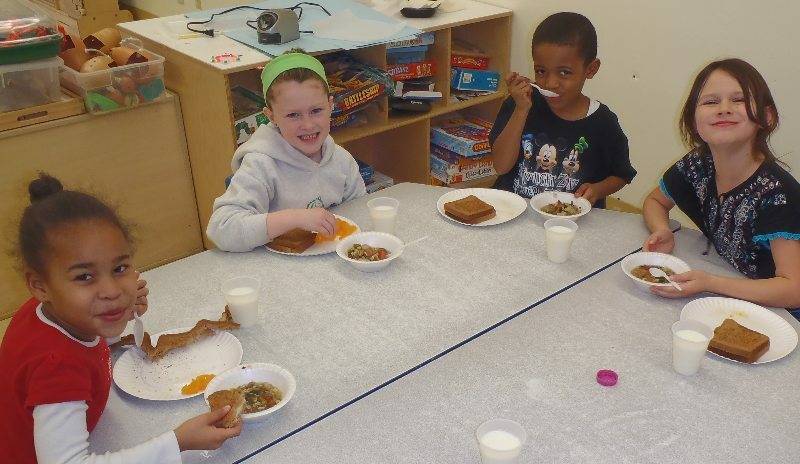 Our meals meet and often exceed the Federal Child and Adult Care Food program standards. We recognize that basic safety of a child is a fundamental concern for a parent. For that reason, we maintain a locked facility, requiring all persons entering to show identification. Staff people are screened, a background check is completed and references are checked. All parents complete the Permission to Pick Up Form that lists persons authorized to pick up your child, and our security procedures only allow those that you list. Our staff members also receive training in First Aid and CPR. We provide transportation for school-age children attending Downes and West Park schools. Newark Charter School, and Shue Middle schools pick up and drop off at Newark Day Nursery and Children’s Center. Radio Stations are called by 6:00 a.m.